This is one of the common questions among traders – Can Original Bill of Lading be surrendered under sight LC? Can an exporter release Sea way bill under LC at sight? Is Original Bill of Lading must to be enclosed along with other shipping documents under Letter of Credit at Sight? Before finding answer on whether OBL can be surrendered at load port under LC at sight terms, let us find how LC at sight works. What is Sight LC and how does it work? 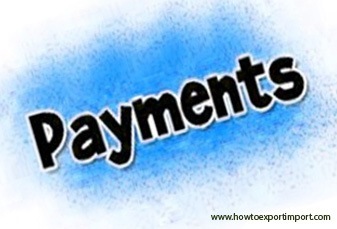 Under sight LC, the payment of export proceeds sent to seller’s bank by buyer’s bank immediately up on receipt of original shipping documents as per the terms and conditions mentioned on LC, on acceptance of documents by buyer. Here, the buyer accepts original documents from his bank for clearance of goods under import. If the buyer and seller agrees to surrender bill of lading at port of loading and such clause has been added in the terms and conditions of letter of credit, seller can surrender original bill of lading at load port and arrange to send release message to buyer to take delivery of goods. However, in a payment term LC at sight, LC opening bank also does not prefer to surrender OBL at load port, as buyer can take delivery of goods, as carrier does not insist for original bill of lading. The opening bank remits amount of sale of goods mentioned in commercial invoice to the seller’s bank immediately up on receipt of shipping documents which satisfy with all terms and conditions of Letter of Credit at Sight. So under most of the terms under Letter of credit at sight requires Original Bill of Lading as one of the shipping documents to be enclosed by exporter after export of goods at load port. Hence, surrender of OBL at load port under LC at sight is not permitted, unless otherwise agreed between buyer and seller. The release of Sea way bill also not permitted under Letter of Credit at Sight, unless otherwise buyer and seller mutually agreed. Write below your experience and thoughts on this article about surrender of OBL / Release of Sea way bill under a shipment of Letter of credit at sight. Comment below about the surrender of Original Bill of Lading under Letter of Credit at Sight. Ramesh khannan: On 08 June 2014 Dear sir this is a firs experiance to export now one buyer asked sugar monthly regular requirement .I need some calrification from you i don't have export licence only i have cst and iec code this is enough or must licence ? 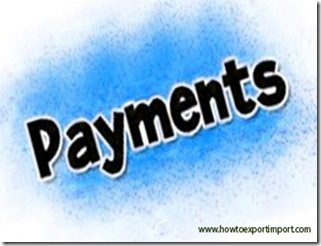 then i should pay for sugar bill amount but buyer told they will give l/c .How can i collect the amount certainly for example "i load the shipping and get the recipt then go to bank and collect money ?" .Which type lc is suitable for it i think your answer most helpful to me . Thank you. Regards, A.Ramesh khannan. MOHAMED MOHAMU: On 04 January 2017 HELPFULL ARTICLE THANK YOU.